There is no plug-and-play tool for SEO. No tool can game Google nor give you a boost on search engine ranking immediately. Many users have a misunderstanding that they can install a tool for SEO and they’re done. Great tool! Nail it! Most SEO tools can help you with on-page SEO tasks like page content, image, meta tags, sitemap, etc but you need to handle off-page SEO like links building. No tools can help you to automatically build linkages from other sites. (Well, you can hack other websites of course…). If there is anyone who tells you SEO link building can be automated, it is definitely a black-hat. You will get penalized by Google soon. Here is a related post on Quora. Indeed It’s time taking to improve your online presence. You will need to constantly build linkages from other sites in order to improve SEO. Patience is required for SEO as well as your business. 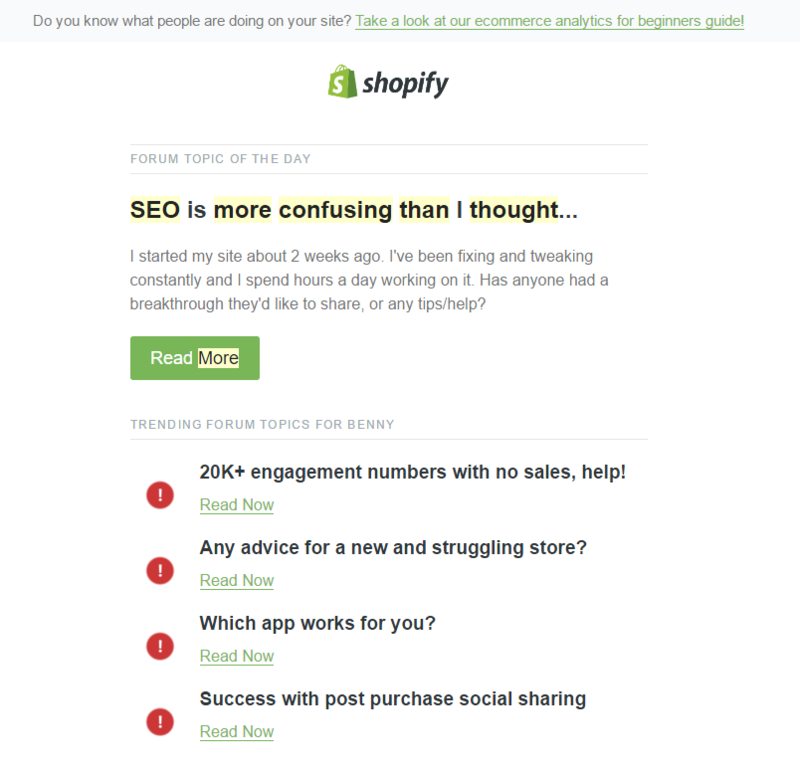 Most users just install a SEO tool on their Shopify stores. Follow the instructions provided by the app, and they think it’s finished. This is not going to work forever. Because you don’t know your target for SEO. What you don’t know are your target keywords and you just randomly put in random words inside your store. It’s just like you have a compass but you don’t have the map to show your destination. You think you’ve found the correct direction with the compass but you never know your final destination. How can it work for you? Where are you heading for? That’s why we provide search volume, CPC, Adwords competitiveness inside our Shopify App – SPO. Currently Google Adwords is hiding these data from Adwords users. Many users are using Google Keyword Planner inside Adwords for marketing research but they are not paying a dime. Google made it available only for paid users above certain ad budget. You can refer to the announcement thread posted by the community manager of Adwords. When you’ve finished optimizing your site for SEO, it’s just half way to finish your SEO duties. Your site is good for parsing by Google. Yes, that’s true. However when there are no other relevant sites linking to yours, how can other people reach your site? Great people know great people. And you should surround your site by other great sites. Referral traffic is also another cheap channel that is always ignored by online store owners. When you’re developing your SEO strategy, be cautious to select the correct keywords. By cautious, I mean the niche keywords that are NOT common keywords. If you are selecting a common keyword, you need to know that many others are choosing this keyword. You’re facing numerous competitors to rank this keyword. Very likely it will take very long time or you simply cannot compete with other websites. Niche keywords will be the wiser choice. Always choose niche keyword (or long tail keywords) which has recurring traffic, may be few thousands search volume per month but with moderate competition. There’s only one reason. You want to build cheap organic traffics. It’s OK if you want to focus on paid ad channels like Facebook, Instagram, Youtube instead of search engines. But SEO is a scalable marketing strategy and the cost is controllable in the long run. products for the mass market like apparel, electronics & computers, women’s accessories, etc. It’s simply not possible to do SEO for a very general keyword like iPhone, T shirt, jean, etc. SEO is all about unique and valuable content. 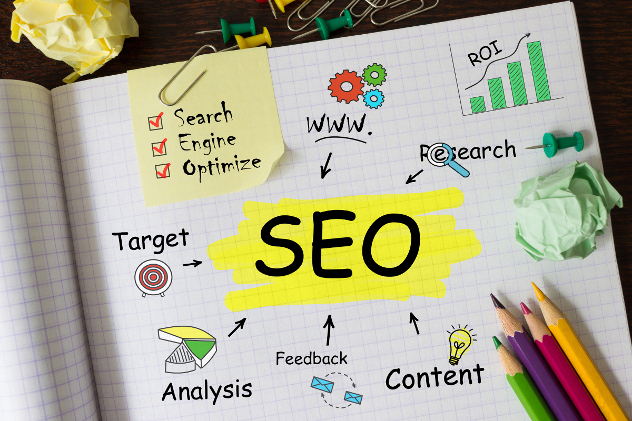 To start working on SEO, the first thing is to find out the most suitable keywords for your site by keyword volume. If your business is targeting at a niche market, keywords with few thousand to ten thousand search volume per month may be a good entry point. 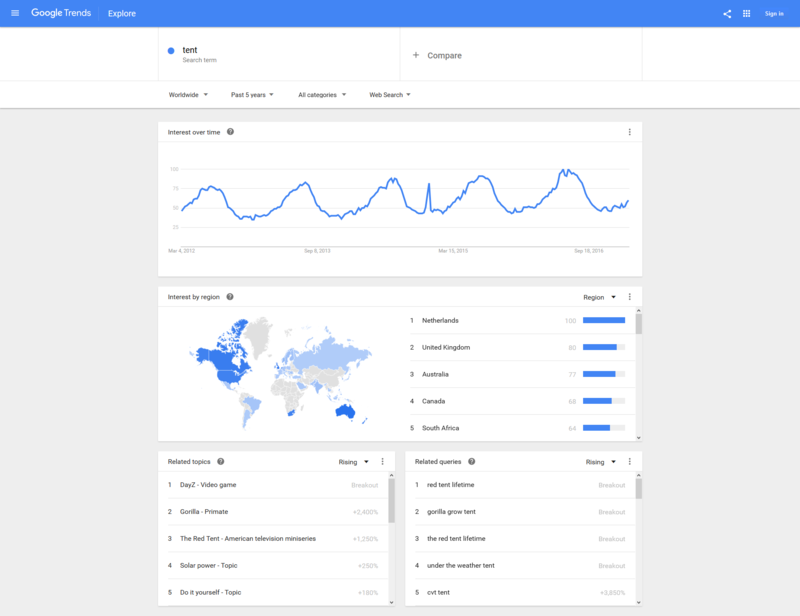 You should notice trending keywords via Google Trends. 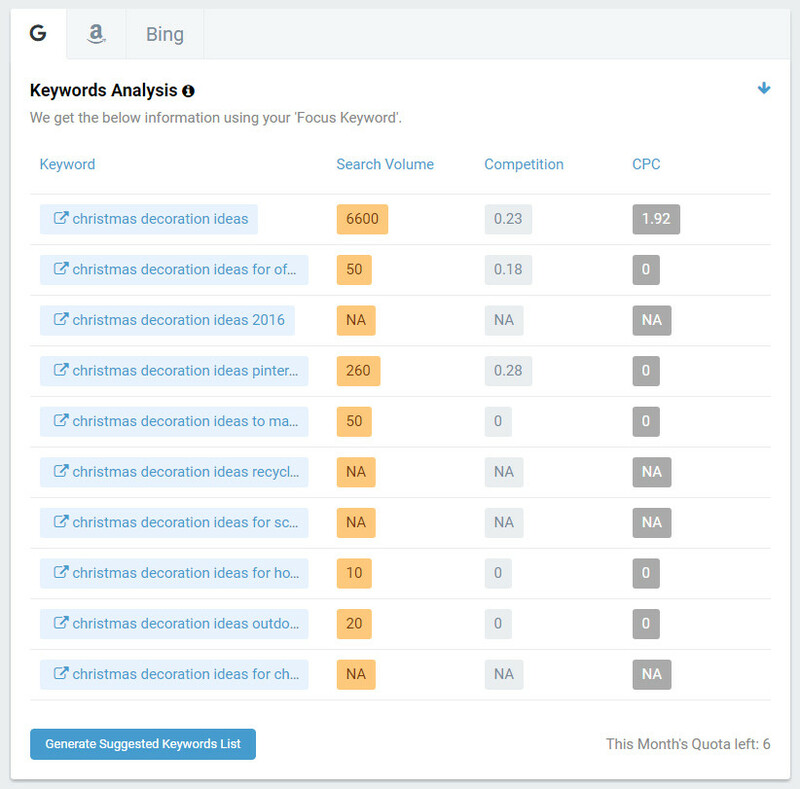 If you are doing seasonal promotions like Christmas, keywords like “Christmas gift”, “Christmas gift idea for 2017” will be very likely having a spike in search volume around the Christmas festival. After you purchase the domain for your site, you should register your name on all social networks and relevant sites, including Facebook, Twitter, Pinterest, Instagram, Youtube, etc. When your visitors are checking your store, they will check your Facebook page, Instagram account for sure. At the same time, they will probably search your name to look for any reviews before making any purchase decision. If your store is having a record on other websites, it will definitely give your potential customers more confidence. Also mutual linkages between other sites with yours will give you SEO juice. It can definitely increase your search ranking in the future. I guess the statement is very trivial. But the problem is where should you start with? I would suggest you to start with the under-exploited channels. One of them is Youtube. You can create create relevant content on Youtube and redirect highly relevant traffics to your store. Create a pleasant unboxing experience for your customers. One of my customers is selling shower heads online. Besides selling the product, they also provide the DIY shower head installation video. How sweet it is! Ask yourself one question: Instead of creating video ad that is always being skipped, why NOT create impressive videos? Blog marketing is only good for products or services which are hard to evaluate the values, just like the shower head you saw above. You are not sure if the shower head is comfortable until the moment you try it. A review for shower head will be very helpful in evaluating the product quality. In additional to writing your own blog, you can try to build links from other blogs by sponsoring free samples. Word of mouth shown on other blogs can be very effective as the review is made by third party. 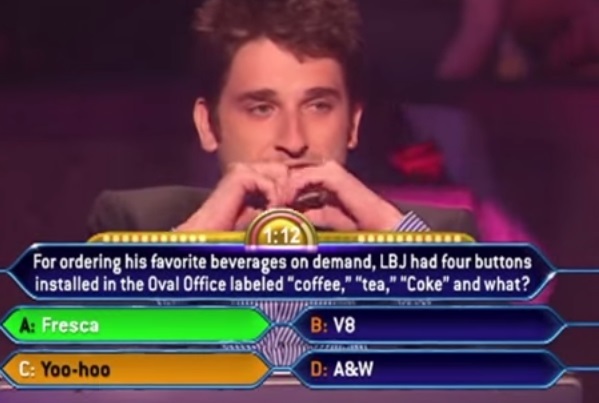 Not to mention the SEO juice given by the referral blog. Over 8 years, all of my customers first found me via search engines. I have been tracking keyword ranks like “mobile apps development hong kong“, “apps development hong kong” and more over the years. Fortunately we have been staying within the top 10 for many years. If you are using our Shopify App – SPO, you can use our rank tracking features. Otherwise you can also use other keyword tracking service. I will just stop here. If you find my post useful, feel free to subscribe to my future posts below. Happy Selling! Do you find SEO confusing? How did you handle SEO? Did you prefer paid ad to SEO? Did you find an agency for help or you handled it on your own? Feel free to leave a note below.